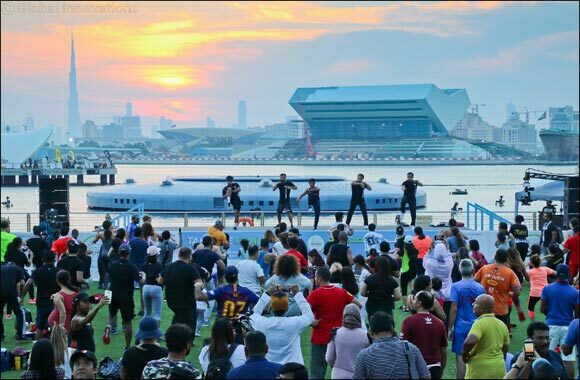 Ahmed Al Khaja, CEO of Dubai Festivals and Retail Establishment (DFRE) said: “The second edition of Dubai Fitness Challenge, an incredible initiative of His Highness Sheikh Hamdan bin Mohammed bin Rashid Al Maktoum, has dramatically changed the mindsets of people towards achieving positive social and lifestyle changes. Our recent consumer research that compares pre and post DFC behaviours to assess tangible impact, reveals extremely high satisfaction scores across all aspects of the festival itself, in addition to a marked improvement in lifestyle choices. These are strong indicators that this city-wide movement is turning into a social platform for good health, and by extension, well-being and happiness of Dubai’s entire community. “The success of DFC’s second edition is thanks to the incredible collaboration between the public and private sectors. Indeed, the individual dedication, collective efforts and above all, the unifying passion of all stakeholders – from government entities to educational institutions, healthcare providers to utility companies, banks to developers – have enable us reap such rich sustainable dividends. In addition, DFC delivered on its ‘inclusiveness’ promise by showcasing a wide representation across age segments and equally reflecting the diversity of Dubai’s society – with the largest participation recorded from Indians (31 per cent), followed by Filipinos (11 per cent) and Emiratis (10 per cent), in addition to several thousands of residents from Pakistan, Egypt and the UK – all enthusiastically taking on the month-long challenge. More than half of the participants were students in 2018; with schools accounting for 55 per cent of the registrants, strongly growing their representation from 44 per cent in 2017. This achievement falls in line with DFC’s aim to instill the importance of leading a healthy lifestyle among students to help nurture and sustain life-long health and fitness habits among the youth.